AmpCity offers headphone recabling service – from £235 | What Hi-Fi? Got a pair of headphones that need recabling? From today, audio specialist AmpCity is offering UK customers an online recabling service from £235. After booking in on the the AmpCity website, customers can post their headphones to AmpCity, where a trained technician will carry out the recabling. The headphones are taken apart, the stock cable removed and the Fidelis ultra-high purity silver headphone cable is soldered directly to the driver using Cardas silver solder. The company says customers should get their headphones back within three to four days. The Fidelis cable is designed specifically for full-size headphones and is available now from £180. 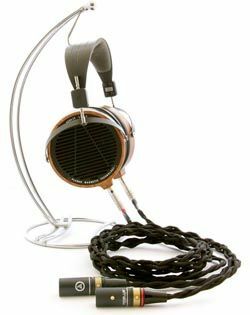 It's joined by the Fortis headphone cable, a more lightweight version for use with earphones, which sells from £140. AmpCity says it can upgrade the cables on headphones from the likes of Beyerdynamic, Grado, AKG, Sennheiser or Denon.